Send us your St Kitts Nevis audio trip reviews! You've visited St. Kitts and Nevis and now you want to share your experiences with others who are considering visiting the island. Well consider this... what if I told you there is an easier way for you to share your exciting St Kitts Nevis trip review than sitting at the computer and typing it? Yes, that's right! Now you can record your audio review by phone and not only share your experiences, but you can also share your excitement as well. Yes... as you recount the fun times you spent in St. Kitts and Nevis, visitors to my site will be able to hear the excitement in your voice. Ok, now you know that you can record St Kitts Nevis audio trip reviews, you are probably wondering how you can record your audio review. It's simple. Just dial (206)600-1SKN i.e. (206)600-1756 and record your message (up to 5 minutes long) after the voice prompt. That's it. Your recording will be forwarded to me via e-mail. I will then convert it into the format to play it from my website then include the play buttons for you to listen to it via this audio trip reviews page (see audio reviews play buttons below). Please remember to include your name and when you visited St. Kitts at the beginning of your recording. In your review, tell us where you stayed, your favourite restaurants and tours and the not to be missed places or activities. While we appreciate your frank reviews, please note that we will not publish reviews that we deem inappropriate and can potentially expose us to legal action. If your review is solely intended to bash a property it will not be published. 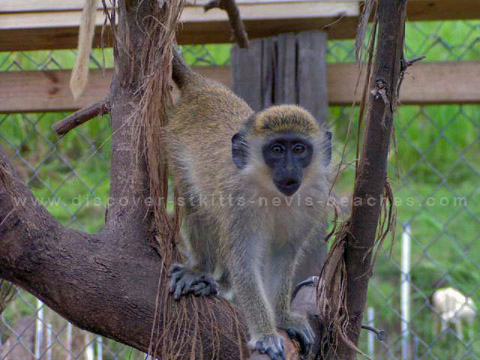 Karen G. a regular visitor to St. Kitts shares some highlights from her October 2005 vacation.